The Grammys are tonight! Get yourself a bottle of Moët and party with us. Please? It’s Grammy time, you guys! We at SheKnows couldn’t be more stoked. We’ll cover the night’s events, but don’t be surprised if our coverage gets loopier as the night goes on. Why? We’re playing this amazing drinking game! In our game, we’re drinking Champagne. It’s classier that way. Plus, with our rules, if you do shots, you’ll be drunk after two awards. It’s a long night, ladies. End the night in one piece by only taking sips if any of these things happen. 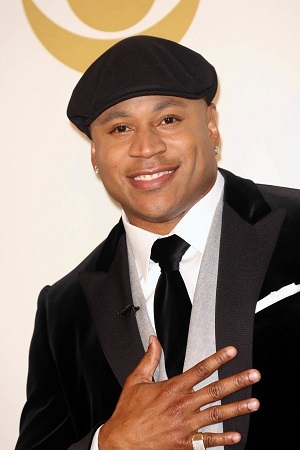 LL Cool J does that smirk when he thinks he said something funny. They show the wrong face when announcing a name. Someone is out of his or her seat. Kanye glares at the camera instead of smiling. Someone fumbles over the nominees. Neil Patrick Harris is fabulous. The music starts before someone finishes. Someone talks of how the other nominees were also great/amazing/talented. Someone seems overwhelmingly shocked by the win. Someone slips on the stage. Someone hits a bad note. Carole King messes up the words to a Sara Bareilles song. You can feel the tension between Ringo Starr and Paul McCartney. Dave Grohl is onstage (every time!). Taylor Swift does the shocked face. A win is dedicated to a deceased person. Miley Cyrus sticks out her tongue (first time only! ).